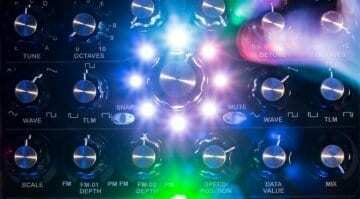 After the shock discontinuation of their popular Braids oscillator, it is with some joy that we receive the news of its spiritual successor – Plaits. 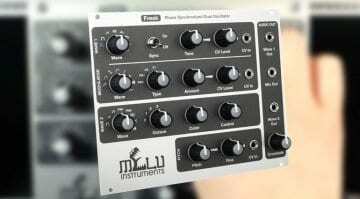 Mutable Instruments say it’s not a MkII, this has been redesigned from scratch. The screen has gone, so has the menu system, hidden settings and some of the more redundant synthesis modules. 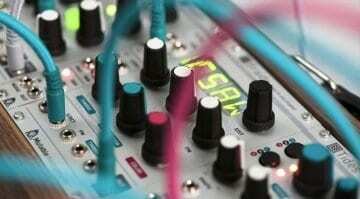 Instead what you get is a streamlined, playful oscillator with simple controls and an intuitively inviting look. The controls are simple, there’s only 4 and they pretty much speak for themselves although they do take on slightly different roles depending on the model selected. They are labelled Pitch, Harmonics, Timbre and Morph. They all have CV control including a direct CV input to select the model – something that was difficult to achieve on the Braids. There’s also a CV control for “Level” which alters the amplitude and brightness of the output signal. Talking of outputs there’s an intriguing “Aux” output which apparently carries a variant or by-product of the main signal. 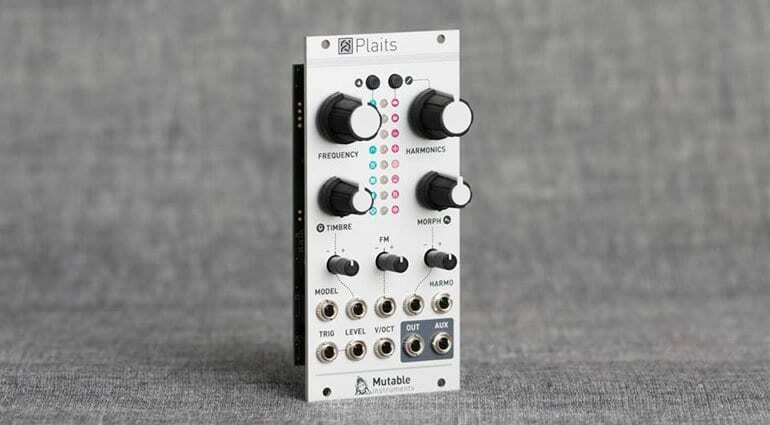 Mutable Instruments are at pains to say that Plaits shares no hardware or software with Braids. They share a concept but nothing else. The DSP code is inherited from Elements, Warps and Rings along with some new stuff. 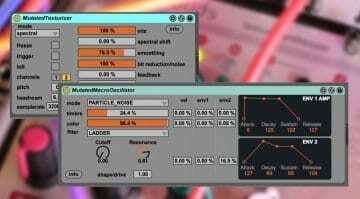 Quality of the output is better, less aliasing, DC Coupled so it can go down to LFO rates. It’s also smaller and takes less power. I have no doubt that this will become the standard multi-function multi-synthesis oscillator that will inhabit even the smallest of racks. It’s exactly what Mutable needed to do, and here it is. Plaits will be available in a week for €229. It’s not a very exciting video but hopefully more will be along soon!